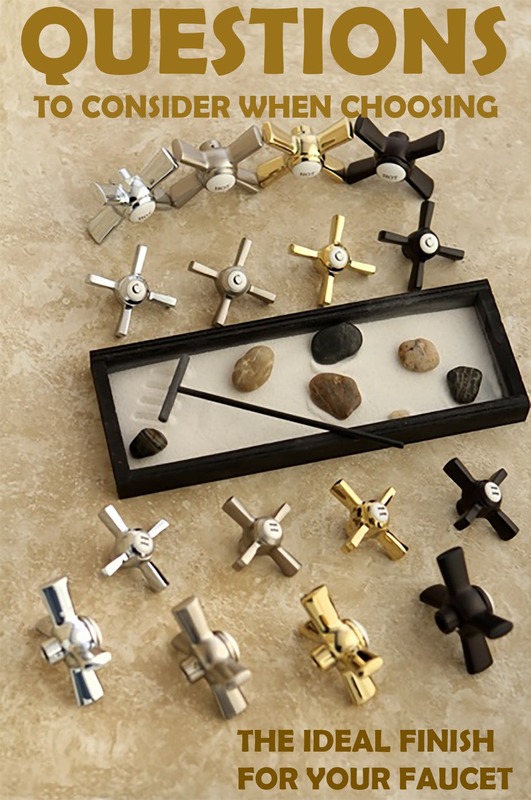 Have you found the perfect style of faucet after hours spent searching for the ideal one for your home, only to be stumped by the choices of finishes available for such a product? To be left sighing in exasperation as you’ve once again found yourself debating which finish would look best with the interior design planned for your home. We understand the frustration that could arise from such a simple yet irksome decision, and as such we’ve prompted a few questions to consider when choosing the ideal finish for your interior home design. Would the finish work well with each of the yearly seasons? Of course, with a quality finish, you would wish for the finish to last for years and endure through lots of wear and tear. And for years, it would bring up the question of whether the finish could mix well with the changing seasons of the years. That no matter the change of home décor, the finish would be able to blend with your interior design and the passing seasons. Could you work with creating a diverse set of styles and home décor designs with the finish? 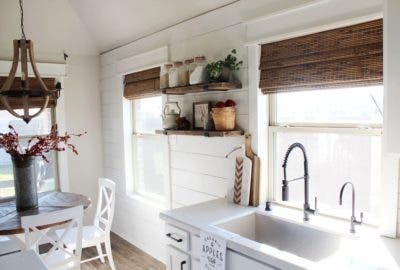 What style is the appearance of the faucet? 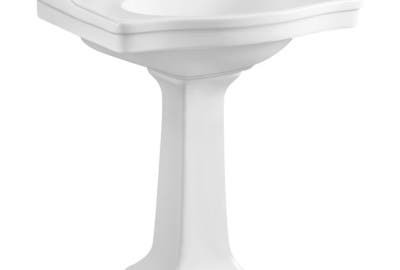 Since finishes were once an often overlooked quality due to its status as an understated feature, the design of a faucet was a major focus of choosing a faucet. 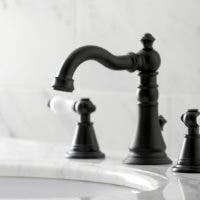 Although that is no longer as common, pairing a finish with the design of a faucet will continue to be an important subject to consider. 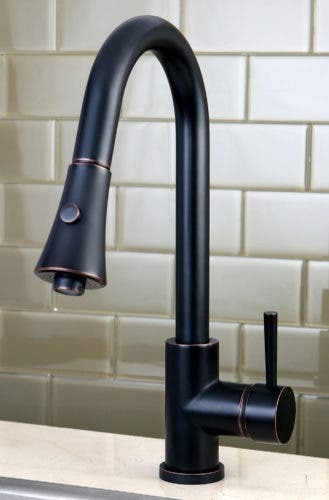 As an oil rubbed bronze finish with a contemporary styled faucet could certainly look odd but hold a unique appeal, make sure to take into consideration what charm you are going for within your planned design and if the finish will help to achieve the style when paired with the ideal faucet body. Will the finish require high or low care maintenance? 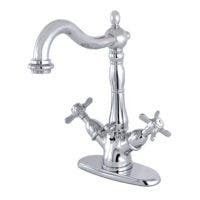 It would be easy to go for the most elegant finish for your faucet. But make sure to keep in mind what the maintenance requirements are needed for the finish under your consideration as well as how vulnerable each finish could be to tarnishing and corrosion over time, as Oil Rubbed bronze hues could take an elegant approach to aging over time, but the same could not be said of other finishes which will maintain their appearance intact for many years to come. How vulnerable is the finish to spotting or peeling? Following with the previous question, this can be one of the major concerns of finishes when purchasing a faucet or product. Of course, as a result of variations in production even among those of the same finish, the vulnerability to issues such as spotting and peeling can vary by minor to moderate numbers. While there can be many more questions to consider when deciding on the ideal faucet finish to include in your home design, be sure to keep an inquisitive and careful mind in browsing the various arrays of products available in the kitchen and bath market. From the commonly beloved Polished Chrome finish to the unique and exclusive such as the Kingston Brass Antique Copper or Naples Bronze( Shown in image on right, LS8726DL) finishes, consider these questions when choosing the finish to feature within your home décor.